Palo Alto may be known by many as the birthplace of Silicon Valley and the original headquarters of Facebook, but there’s so much more to this Silicon Valley location than a single company or headquarters. 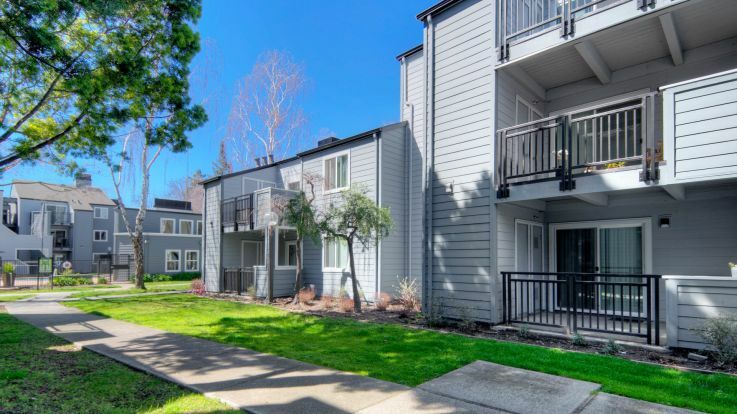 For starters, Midtown Palo Alto is convenient to the rest of the city, so the commute is easy and everything residents could ever want is just outside their Midtown Palo Alto apartments and homes. The area is also home to the Midtown Palo Alto shopping area on Middlefield Road, which provides easy access to both locally owned business and larger grocery chains and retailers; and Winter Lodge, the only permanent outdoor ice skating rink west of the Sierra Nevada. One of the best parts about living in Midtown Palo Alto apartments and the surrounding community is the proximity to Stanford University, one of the most well-known campuses in the country with plenty of sights and recreation options for both students non-students to enjoy. Spend the day walking or running the Stanford Dish Walk in the Stanford foothills, then explore on-campus sights like Hoover Tower, Cantor Arts Center, Rodin Sculpture Garden or simply enjoy some R&R in the quad. Catch a weekend game at any of the nearby athletics venues and cheer Stanford on to victory. Living in Palo Alto gives residents plenty to of options regarding work and recreation, but it also affords people the chance to choose between award-winning restaurants and nightlife options. Sample cuisine from around the world at Evvia, Tamarine, Oren’s Hummus Shop, Baume, Saint Michael’s Alley, Fuki Sushi and La Bodeguita Del Medio, then end the evening sipping craft beer and local wine at Vino Locale, the Dutch Goose, the Old Pro and Gravity Wine Bar. With Stanford University and many Midtown Palo Alto apartments within walking distance or a short drive to local eateries and watering holes, residents and visitors won’t be left wondering what to do with their spare time. No matter where you live in Palo Alto, whether in Midtown Palo Alto apartments or in neighboring communities and neighborhoods, Silicon Valley is a convenient part of the San Francisco Peninsula with so much more to offer than a few corporations’ headquarters; in fact, sometimes it’s best to unplug and simply enjoy our tight-knit community. Head over to the city’s farmers market and mingle with neighbors, explore the area’s museums with your family or friends, and dip your toes into the bay, enjoying every bit of Bay Area breeze and California sunshine our area has to offer.